Many folks in my hometown of Anacortes, Washington, were pleased and proudand a few were skepticalas a community college moved a healthy and nationally recognized marine technology training center into a new $6.6 million building on the citys waterfront this past fall. The doubtful noted that the nations economy still was in bad shape last year and that the recreational boating industry wasnt any better off. They shook their heads and were skeptical of spending money on a facility devoted to a troubled industry during an economic recession. They just didnt know all the facts. Planning for the training center had begun long before our economy ran aground. And, with faith in the future, the centers staff greeted 65 students in the fall. Every chair was filled. The training center, known formally as the Marine Technology Center of the Northwest Career and Technical Academy, is housed in a building whose styling offers hints of a working waterfront. It has huge open spaces, with soaring ceilings. 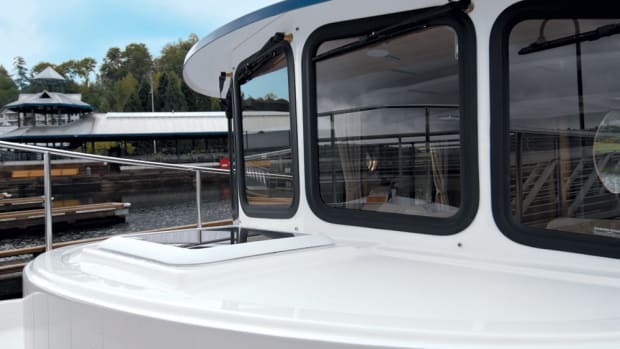 There are classrooms, as well as workshops for fiberglass lamination and aluminum fabrication; for the installation, repair, and maintenance of marine engines (diesel, gasoline, and outboard); and for general marine systems (from pumps to electrical equipment to navigation gear). Although there was spirited debate in the community about where the center should be built, it now stands on land provided by the Port of Anacortes. 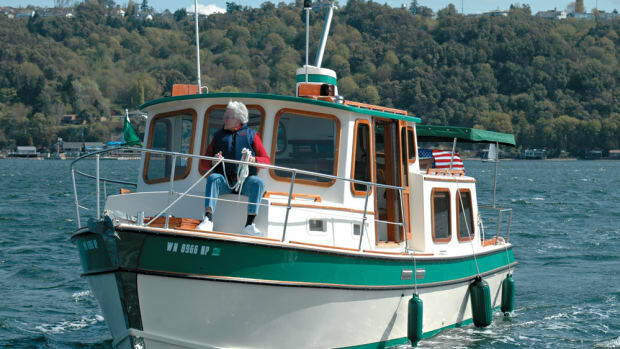 It is about one city block from the ports huge marina, which is home to a big fleet of fishing boats and other workboatsand hundreds of pleasure craft. The state of Washington paid for construction of the center. Skagit Valley College for many years operated the marine training center on its campus in Oak Harbor, on Whidbey Island, about 20 miles south of Anacortes. That program was moved to the new Anacortes center, along with staff members Avary and Michael Swietzer, chair of the colleges Marine Maintenance Technology Department. Swietzer has been with the program for 20 years and also has worked as a yacht designer, as the manager of a boatyard, and as a loftsman. He studied art in college but developed an interest in boating technology on discovering there was little money in art. This has been a creative experience, he says of his career in marine technology education. Mike Beemer, an Anacortes High School marine technology teacher, is an instructor in boat systems at the center. 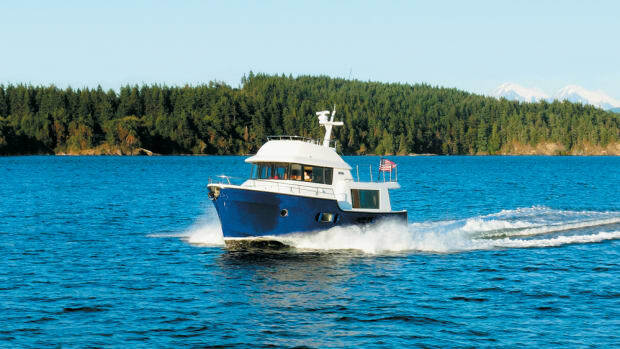 (One of my best boating adventures was shared with Beemer several years ago when he and I joined a fleet of American Tugs for a sunny day in the San Juan Islands. He was the skipper, and I worked hard researching a story for PMM.) Don Souza teaches propulsion technology. The center offers a two-year program that leads to an associate college degree in marine technology. Generally speaking, that course covers the waterfront in terms of the topics studied. Or, students may work for a certificate that is offered for satisfactory completion of work in a specific field, such as electrical systems. The student body also includes recreational boaters who sign up for a single class, such as diesel engine troubleshooting. Beemer says he hopes the center will soon offer weekend classes for boat owners. Some students at the training center may be experienced boatyard workers who return to school to qualify for an American Boat & Yacht Council certificate that may bring better pay on the job. The center offers a discount on the cost of required ABYC exams. 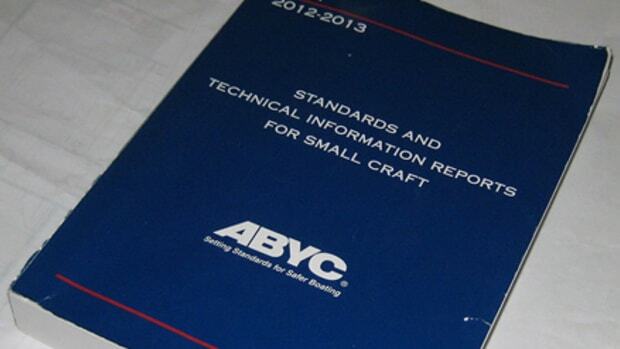 The curriculum is based on ABYC standards and those prescribed by industrial associations. Skagit Valley College is a member of the Marine League of Schools, which teach ABYC standards. Avary is chairman of the league. Public school districts throughout the region participate in the centers programs. This quarter, 20 high school students come to the center for training part of the day and then return to their regular classrooms. Other students come through the community college. During my tour of the center, I met three high schoolers who were practicing fiberglass techniques they had learned in a training center classroom. Their challenge that day: repair a hole in a fiberglass panel. In Beemers systems shop area, students were rebuilding water pumps, wiring electrical panels, and working with hydraulic system components. The final exam for Water Pump 100 was to take the repaired pump to a sink containing water, hook its wires to a 12-volt battery, and show Beemer that water flowed. Those I watched had done the rebuild properly and got an OK from the teacher. Another student tested crimp fittings he had placed on a length of heavy electrical cable by using the cable to lift 150 lb. in a testing rig. Grunting a little, the student held the weight for 60 secondsmeeting ABYC standards and winning Beemers approval. The center, Avary told me, is a great example of a partnership at work. She cited contributions from the community, the involvement of school districts she describes as drivers of the center program, the community college, and the endorsement and support of the marine industry, which has contributed equipment and tools to the center. School officials said Funk initially offered to try to raise $5,000. Last time I checked, he had collected $50,000. Avary says the center is looking forward to hosting some Trawler Fest events in May. I expect some Trawler Fest attendees will tour the technical center and dream about going back to school. It did that for me.